As November is ending and December is coming, people have different plans for the Festival season. 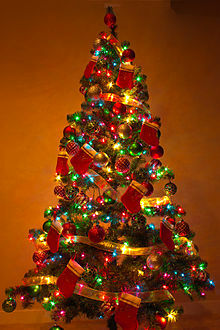 And during the Christmas, the main decorative that people would surely love is Christmas tree. But the main question comes is the selection. What best fits the size and the width with the location of it? How to pick your own Christmas tree? How do I select a Christmas tree? Where can I buy the best Christmas tree? Can I make my own Christmas tree? How to make my own Christmas tree? How do I decorate my Christmas tree? Well lets end to all the question. The main problem is the selection of the kind and the size. So a simple guide I would show you how to decorate your Christmas tree. There are different choices for the buying and the question arises, should I buy a real one or an artificial one. I bet, everything looks perfect in real one than that of Artificial one. So, I suggest you to buy a real one than an artificial one. Because real one looks so great that people couldn’t stop looking at it. Also the each and every real ones have their own variety. Though the Artificial do have varieties but the are common around 3/10 houses in a small city. Lets talk about size. Yes size do matters for the decoration to look good. A very big sized(10-15ft) looks only good outside, but a medium(6-9ft) is perfect for a room. If you have a small ones then don’t worry they can be good but with children in your house may spoil the tree. So, Medium tree can be selected so that it can last for some year’s Christmas too. Larger to be kept outside, Medium to be set inside and smaller ones are let to be raised or look pretty inside. Buying the best ones. There are different tests that you can provide to a tree that can help you select the Christmas tree. Just look out with the leaves and you will self know the quality. That quality cannot be explained in words. So, best buy can be found in your locality. Ask for your neighbor for the tree. Keep the Stores at the last priority as the are raised so quickly that they are good for single Christmas only. Though its hard but you need to create your own Christmas tree by buying a very small sized Christmas tree 6 months ago. They do grow slowly but with fertilizers, you can make them grow more quickly. But they may not last for the next season of Christmas. Buying a smaller one cost you low and creating it is simple. Decoration. And finally comes the decorative part. People love to see it tightly decorated with more and more lights but doesn’t cover the original Christmas tree. So, main color you need to choose is the background color. Originally, the color is green or snowy because of snow fall. So, you need a high intense lamp that will fit at the TOP of the Christmas tree. If the tree is outside the house, you can fit a new stand making it hidden to the normal people. Now you the lamp at the top of the stand and connect it to the Power connection. If you are inside the house than you can fit a lamp at the Ceiling. Another question arises, color for the lamp? The color is the best to think. Each and every color are the best ones but it is on your choice what color do you love. Best color selection are: green, red and blue(you can select other color that can resemble to these color). Also now color of the bulbs and lights? Color of the bulbs and lights must be anti-color to the lamp. If you select Green ad the lamp’s color, Red and Blue bulbs are best fit because they are the anti-color to the lamp’s color and the people’s eye gets easily caught to the tree. The top Bulb is better in red so I would suggest you to keep the lamp’s color to be Green/Blue. If you want mini lights, I would suggest you to use Odd numbers making vertical strips on the tree. Filled with with the Bulbs at the middle. I would also like to suggest that you and your neighbor make each others tree because you never love your own creation.